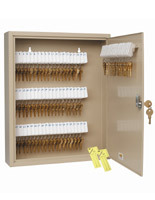 This valet key lockbox features 30 separate slots that will hold from 1-3 keys each. 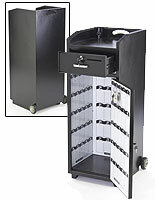 Designed to keep access control accessories safe, this heavy duty steel case has a secure tumbler lock The security key lockbox is an ideal way to organize and store keys in almost any business or industry. 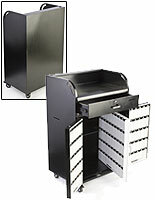 The steel case organizer is a superior choice for parking services or areas, facility, building and maintenance managers, landlords, retail store management and real estate/leasing services. 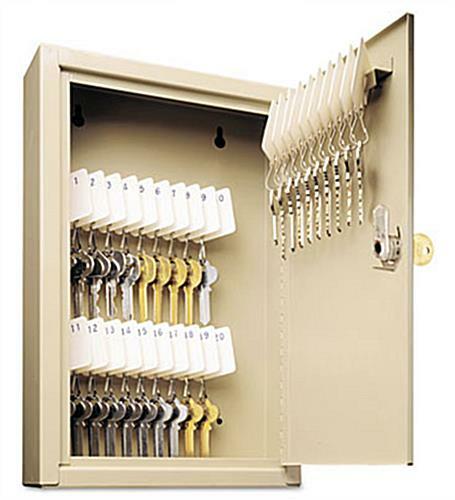 Each secure key lockbox is designed for wall or under-counter mounting. 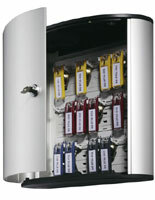 Installation hardware, a contents storage chart, numbered plastic tags and (3) "Out" tags are included with each organizer. 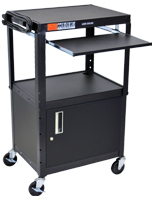 8.0" x 12.1" x 2.6"